Elite Hall Publishing House – Page 19 – Elite Hall Publishing House – An International Publisher. The team that is responsible for previous works of philosophical science (You Are Stardust, 2012; Wild Ideas, 2015) takes on yet another huge concept. Beginning with water from rain that provides fresh drinking water and oxygen supplied by plants, then winding through the complex ecosystem that sustains and protects life on our planet, Kelsey provides examples and explanations of how we are all connected: to microorganisms, insects, algae, soil, and every living plant and creature, all of which affect everything in our bodies and everything we do. 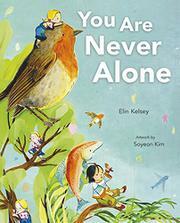 Children might find some of the scientific material hard to grasp, but it is all elegantly presented in soaring, vivid language that is not a bit condescending. The second-person address posits a singular reader, directly addressed in a conversational tone, and yet emphasizes that every individual has the same connections. Each bit of information is paired with appropriate scenes from Kim’s exquisite, intricate dioramas. Double-page spreads depict children of varying races flying, floating, even cavorting with animals and plants of land and sea in fantastical, colorful settings that also contain carefully constructed realistic elements. Endpapers present smaller, framed versions of the dioramas and invite readers to examine them closely. 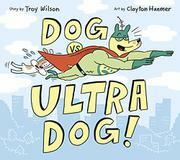 When a new dog comes into Tim’s life, his canine best friend, Tuffy, is left wondering where he stands. “Tuffy loved Tim. And Tim loved Tuffy.” However, Tim also loves Ultra Dog, “the ultra-est dog in the universe!” He loves everything about Ultra Dog: the TV show, books, games, and apparel—even the underwear. Despite Tim’s obsession with the fictional pooch, however, Tuffy is still pretty sure that Tim loves him, until the neighbor cat begins sowing seeds of doubt. With the cherished relationship in question, Tuffy tries to prove he is as worthy of Tim’s love and attention as Ultra Dog. He strives to be the most obedient, most helpful, most affectionate dog a kid could ask for. The ultra-est, even. When Tuffy’s attempts to impress ultimately backfire, he learns the true depth of Tim’s love and friendship. Truly, a dog is a boy’s best friend, and the feeling is mutual. Utilizing comic conventions, including speech bubbles and paneled illustrations, Hanmer’s bright and dynamic visuals add energy and physical comedy to Tuffy’s anxious attempts to secure his friendship. Wilson’s plot is sure to entertain, but it will also resonate on a deeper level with anyone who has ever felt envious of a new friend, sibling, or pet. Tim and his parents share the same straight, black hair and tan skin; Tim wears his hair long, in pleasing defiance of gender norms. 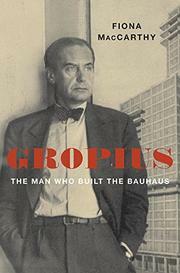 A fresh biography of the influential modernist architect who shaped aesthetics from the 1920s to our own time. Engrossing, impressively researched, and keenly perceptive. Appel’s (The Cynic in Extremis: Poems, 2018, etc.) 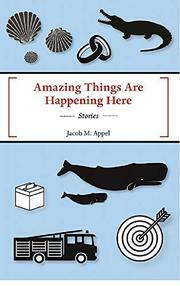 short story collection offers portraits of people experiencing new revelations. In these eight poignant, insightful tales, award-winning author Appel—a physician, attorney, and bioethicist—continues to address many preoccupations that he’s explored in earlier works. One of his most prominent themes is the human tendency to alter the truth—often less to gain an advantage than to experience the sheer joy of invention. In the title story, Carlo, a VA hospital nurse, notes that he’s long been “fascinated by schemes and hoaxes”; when a patient goes missing (“We were short one lunatic”), he hatches a coverup plan, which he embroiders beyond necessity: “fabricating Dunham’s data—and pulling it off so effortlessly—was about as much fun as anything I’d done in years.” Several characters in other stories come to understand that human connection, like creativity, is a mysterious thing that can lead to unlikely attachments. In “Grappling,” Oriana Bingham, a wealthy young woman, insists on marrying Jeb Moran, a “gator grappler” who risked his life to save hers when she was 11; “A girl dreams that a man will put his life on the line for her,” she explains. Oriana stays loyal to Jeb, even though he’s crude, abusive, and drinks, but rejects Arthur Dobbins, a much more suitable man. Other stories similarly describe a loved one’s mystifying preference for someone unworthy. Illness, criminality, and broken lives or dreams appear in “Dyads,” “Embers,” and “Live Shells.” The hope of rescue, or at least comfort, underlies these tales, but the author shows how hope can only go so far in the face of sorrow, death, and bad decisions. Still, the stories are never morbid, as the author effectively balances them with humor and sharp observations about characters and settings. Some pieces have a surreal tinge, but generally, they hew closer to realism than Appel’s previous work. Mordant, humorous stories that display a fine understanding of the human condition. A new administrator’s efforts to remake an easygoing boys’ sports camp into an athletic powerhouse meet spirited resistance. Loosely branded as a sports camp, Camp Avalon (aka Camp Average), unlike its better-funded competitors, doesn’t specialize in one sport. While directors annually remind campers about its sole baseball tournament win (1951), many activities aren’t competitive or even sports—until director Winston takes charge, canceling traditional events and activities and banning hot dogs and sugary cereals. After exhaustive athletic-aptitude testing, each camper is assigned a sport, which they’ll spend all day, every day, playing. Eleven-year-old Mack Jones, white, and Andre Jennings, a dark-skinned, talented pitcher, both land baseball, as does Nelson Ramos, YouTube celebrity toy-and-game reviewer, a baseball newbie with awesome hand-eye coordination. Winning trumps all: Poor test results consign brainy, well-liked Miles to keeping score and maintaining statistics. Led by Mack, who misses water-skiing, the kids rebel, spectacularly losing games against other camps. As Winston doubles down, adding “boot camp” practice, war escalates. 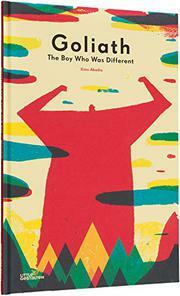 The athletes grow dispirited—losing intentionally is still losing—but then Miles makes a discovery. Mack and friends are endearing, authentic tweens, their bond transcending sports. 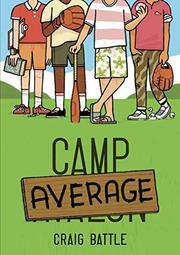 Camp, campers, and counselors (default white, with names conveying cultural diversity for the most part) are portrayed with unsentimental affection. Sports journalist Battle, past editor of Canadian children’s magazine Owl, brings a sharp, satirical eye to trends benign and otherwise in children’s sports. A boy, huge and completely bright red, narrates his quest to discover how and where to belong in this German import by a Spanish creator. “I wanted to be like everyone else… / …even though I was much bigger.” He tries to exploit his difference through boxing, but no one dares to oppose him. Figuring that geography might be the fix, Goliath begins a journey of discovery. Querying the ocean, then the sun, he’s met with both splendor and silence. It’s the Earth-tethered moon who provides an answer, offering beautifully observed, existential wisdom: “Goliath, look at me. I am smaller than the sun, and I am bigger than the ocean, but it does not matter, because there is no one else like me. So, why does it matter to you if you are big or small?” As this big truth penetrates, Abadía centers Goliath as a tiny figure on an ink-black page. “Whoever was looking at me… / …would never see me in the same way.” Abadía’s pictures embody a dynamic interplay of color, form, and perspective. Gestural lines, hard- and brushy-edged shapes, and a palette of red, yellow, green, black, and blue carry the bold design statement, complemented by a tall, thin trim size and wryly chosen font (Super Grotesk). Early and later spreads and endpapers convey that Goliath’s epiphany coincides with his integration into a newly vibrant community of children. From lead-based cosmetics to radioactive wristwatches; from arsenic-green gowns to sandblasted denims: Fashion’s victims are sometimes the wearers and sometimes the creators. The introduction references Oscar de la Renta’s coining of the phrase “fashion victims,” noting that the pages to follow, while not ignoring his definition, will expand it to include more literal victims: “people who have suffered physical pain, injury, and worse, attempting to look more attractive, or to make others look more attractive.” Three luxuriously illustrated chapters tackle heads, middles, and legs, respectively. The first leads off with one of history’s more-famous tales of fashion-related occupational hazards: the use of mercury-cured felt by hatmakers from the 1730s into the 1960s. The text mentions the disturbing fact that, despite compelling evidence of mercury poisoning, England never banned its use; the dearth of currently ill milliners comes instead from felt’s having lost its fashion cachet. 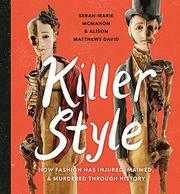 After exploring three other head-related tales, the book moves on to an entertaining history of corsets and their reputations, including a note about the 2016, Kardashian-promoted “waist trainer.” There is also an excellent double-page spread comparing two factory catastrophes: the 1911 Triangle Shirtwaist Fire in New York and the 2013 collapse of the Rana Plaza in Bangladesh. The text uses puns, alliteration, and a conversational tone, but it never crosses the line into disrespect or sensationalism. Colorful, original silkscreens, historical photographs, and vintage art complement the magazine-style format. “Family is what you make it.” Indeed. 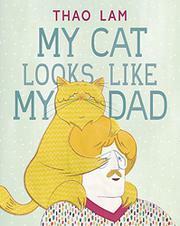 An at-first-unknown narrator tells readers all the ways that their cat and their dad are alike: They look alike; they both love milk and sardines and belly rubs; they incorporate stretches and naps into their daily routines; etc. Lam is tricky in doling out clues as to the narrator’s identity. A female character does appear about halfway through, but a few pages later she is identified: “Mom is always picking up after my dad. And my cat.” (A dirty sock and a dead mouse, respectively.) It’s not until the final three spreads that the narrator is finally revealed, and readers will immediately flip back to the beginning to try to spy this character in the illustrations (in the book’s 15 spreads, eight include the narrator, who may have gone completely unnoticed in most of them). Lam’s trademark paper-collage artwork has a 1970s aesthetic: Dad sports flowered shirts with patterned collars, aviator-style glasses, big hair, and, while stretching, head- and wristbands. Mostly white backgrounds keep the focus on the colors, patterns, and characters. Both have light skin; Dad has sandy-colored hair, and Mom wears her straight black hair in a ponytail. A family spends a day at the beach observing various creatures’ prints in the sand. Children and families of various skin tones and hair textures play on the beach as the main characters, a mother and father, a boy and a girl, all with brown skin, arrive, the children running toward the water. 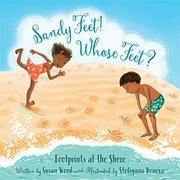 In spare, mostly rhyming verses, the text introduces “sandy feet” and “digging feet” and “wading feet” alongside small creatures as the children encounter them on the beach. A wet dog, a sandpiper, a scuttling crab, a sea gull. Each full-bleed illustration features motion—spraying water and creatures in action, with hints on each spread of the creature to be featured on the next. As the sun goes down, the family packs up and walks away from the water, tired out. The final spread shows a collection of prints featured throughout the book. Endnotes encourage readers to be “ecology detectives” and observe prints in nature, then provide information about the animals in the book. The calming beach colors create nostalgia for beach lovers, and the changing perspective of each spread adds interest for the duration of the book. Winner of the 2018 Iowa Prize for Literary Nonfiction, a slender book that moves across genres—blended poetry and prose, memoir, journal, academic and personal essay—to speak of life as a young African-American woman. 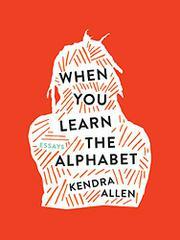 A promising debut from a writer with much to say.